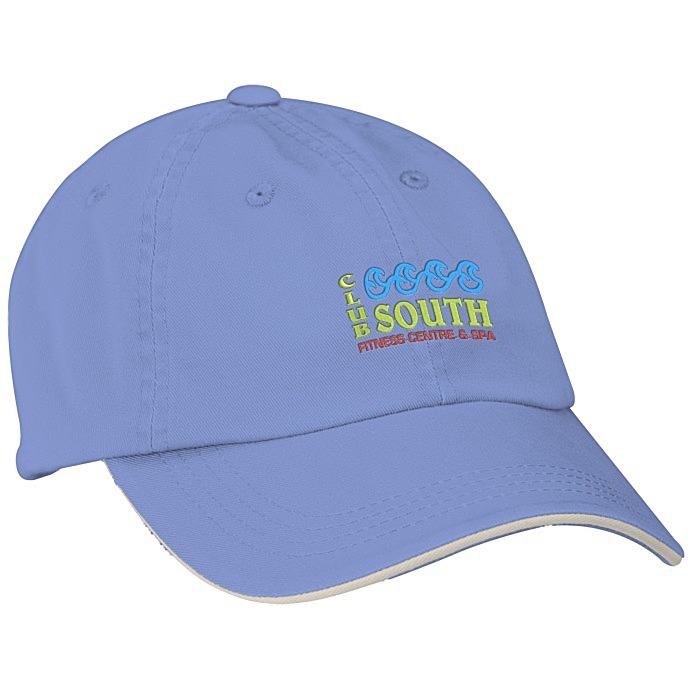 Add a little color to your custom headwear - 24HR! Port Authority® caps are made from a 100% enzyme-washed cotton twill material. Each cap features an unstructured, low-profiled design with a pre-curved sandwich bill. Caps are designed with a six-paneled crown with embroidered eyelets. Complete with a striped hook-and-loop closure for an adjustable fit. A great versatile cap for a variety of outdoor promotions, clubs, golf tournaments, teams and businesses!